Here’s something new: going to the theatre to see a farce. Well, kind of. I went to the Curzon Mayfair, a cinema, on Thursday night to enjoy the latest NT Live link-up, whereby a performance from the very stage of the National Theatre is beamed live to a number of cinemas up and down this land, and in fact around the world, where it will be nearly live. (If you want to find out more about this fantastic initiative – even more pertient if you don’t live in stupid London – check out their website.) The play was One Man, Two Guvnors, adapted by Richard Bean from the 1743 Italian Commedia dell’arte farce Arlecchino servitore di due padroni, or Servant of Two Masters, directed by Nicholas Hytner and starring James Corden, as a modern-day truffaldino, or harlequin. It was a revelation. 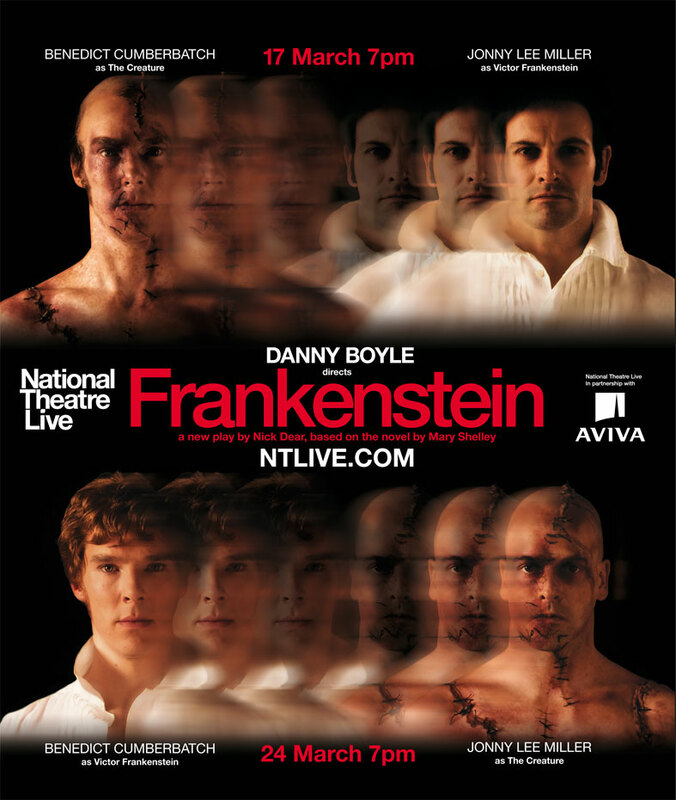 A summer smash at the National with five-star reviews stamped on its forehead, here was our chance to see it at cinema prices, and – as per previous NT Live events we’ve attended, Hamlet and Frankenstein – with the advantage of close-ups and other filmic devices. I didn’t know what to expect, not having read any of the reviews, or even really looked into the type of comedy it was. I knew it would be interesting to see Corden back where he belongs, onstage, and I knew he’d been praised from the rooftops for his work in it. I knew it was set in the early 60s, but that was about it. I didn’t know anything about it being Italian. So I was quite taken aback when the curtains parted – after some live skiffle songs by a band in period costume – and some actors started acting as if they were perhaps in an episode of On The Buses. They winked at the audience, and declaimed unrealistically, and spoke in comedy voices, and I guess the 1963 setting merely added to the sitcom feel. I thought it was funny, and cleverly written, and when a man who was clearly a woman (Jemima Rooper) turned up, I started to “get it”. I was watching a farce. Now, my experience of the theatre is limited. I understand that it’s not like watching a film. It’s sort of unrealistic by definition. It’s men and women on a stage pretending to be something they’re not. I like the theatricality of the medium, but it takes a bit of decompression when you’re so used to seeing fiction that has been filmed and lit and treated to look real. One Man, Two Guvnors is basically about Corden’s corpulent bodyguard (I’m not insulting him, it’s part of the character) taking on two jobs – he works for the woman pretending to be her dead twin brother, and for the posh man (Oliver Chris from The Office and Green Wing) who killed her dead twin brother, both of whom have a trunk, and are expecting a letter from the Post Office, and don’t realise that the other is also in Brighton. Confusion ensues. Now that I know it was originally set in 18th century Venice, I can sort of understand it better, but the brilliance of this reworking is that it’s been redrawn for a modern audience. As a fan of slapstick as a kid, I really enjoyed the physical silliness. There’s a long scene in which Corden, who’s really hungry, has to serve both masters a gourmet meal in two dining rooms without either of them finding out, while squirreling away food for himself, and it involves a “member of the audience” being dragged up onstage, and the whole thing might have been out of particularly skilful edition of Crackerjack or Right Charlie with Charlie Cairoli. It’s like pantomime for grown-up theatregoers. It’s funny, and mad, and designed by experts to make you hoot out loud, but it’s also, I would say, an acquired taste. The people either side of us were guffawing and crying and squealing with delight. I occasionally snorted and shook my chair, but on the whole, I was appreciating it inwardly. James Corden was incredible: funny on every level. Some of the schtick he did with the trunk, and with a dustbin lid, and with the gourmet meal, and some letters, was exceptional. He moves lithely for a big lad. He also dealt superbly with a seemingly unexpected bit of audience interaction, although I’m prepared to discover that this was also planted and set up. Whichever it was, he either improvised well, or pretended to, and both are skills. Props also to an actor called Tom Edden, who turned up as an 87-year-old waiter with the requisite shaky hand and pacemaker, and stole the show. He seems to have been singled out in every review I’ve subsquently read. This was physical comedy of the very highest order, and perhaps the sort that would only work onstage. (Ironically, I was watching it on a cinema screen, but you know what I mean.) Although I am drawn to verbal comedy in my adult life, the childhood slapstick fan still exists within me, and I’m a sucker for a good pratfall. Tom Edden may be the king of this particular discipline. Here’s the deal: people at the National Theatre on the South Bank watch actors do a play. People not at the theatre but in cinemas around the country, and the world, also watch actors do a play, at the same time. It’s a brilliant initiative, and even better if you’re a member of the Curzon and your tickets are discounted. But it’s particularly brilliant if you don’t live in London. I know because people were chattering excitedly about it on Twitter yesterday that it was showing at the mighty Duke Of York’s in Brighton, for instance. Find out more about NT Live here. So, that’s the background. What about the play? After all, the play’s the thing. Well, Frankingstein has been running for a month at the National and has been showered with positive notices. (Emma Freud, who stands in the NT auditorium and introduces the live link-up while confused theatregoers take their seats behind her and gawp vacantly into the camera, informed us that people are queuing up for tickets at 1am. I must admit, we booked our tickets for the Curzon showing before Christmas, sensing a sellout, which it was. Imagine a play that not only sells out the theatre it is in, but auditoriums it is not in.) You have to see these things for yourself sometimes. I am not an inveterate theatregoer, as we have established. I’ve seen some plays. Living in London is a bit of a privilege in that sense, but I’ve always felt a little bit ripped off when I’ve seen some men and ladies standing around talking to each other. If I’m going to pay West End prices, I want to see men and ladies dancing and singing. So, bear that in mind when I review this, as I am only comparing it to a handful of other plays I have seen. In many ways, I’m an easy lay, as I am just excited to be watching a play. Danny Boyle is known as a filmmaker, but he started out in the theatre, as everyone will tell you. Well, that’s as may be, but he brought a cinematic eye and sense of occasion to Frankenstein. Beginning with the creature’s birth and following his infantile development – he walks! he talks! he reads Milton! – most of the first act is wordless. It’s just Benedict Cumberbatch (or Jonny Lee Miller – the pair alternate the main roles of Creature and Frankstein) crawling and hobbling around the vast, bare stage, and grunting his way to coherence. Ironically, although this section is a tour de force, it’s made more cinematic when you watch it in the cinema, as you get close-ups and pans, and – something really special for the non-theatre audiences – aerial shots! So, what we saw in the Curzon is not what they saw at the National. They will say theirs was better, because they were in the same hall as Benedict Cumberbatch and Jonny Lee Miller off of the telly and the films, but I will say that ours was better. Funnily enough, the theatre crowd were still rudely talking when the play started. We were really quiet in the cinema. A huge bell sounds to signal the play has started, and yet, there they were, the big London theatre ponces, still muttering as Cumberbatch’s hand started feeling around inside the womb of his creation. Unless you can afford to go twice in succession, you’re going to have to play the Cumberbatch/Lee Miller Lottery like the rest of us. Who will it be? It’s like a theatrical Kinder Egg – literally, as the creature bursts out of his membranous shell. Having experienced the full two hours, with no interval (Danny Boyle the bad boy rule-breaker! ), I’m going to stick my neck out and say that I’m glad we got the Cumberbatch monster. It is a performance to leave your head spinning with its sheer physicality, nuanced grostequery and well balanced pathos/bathos. Lee Miller has less to do as the professor, less stagetime, and he had an audible sore throat last night, so heaven knows how he’ll cope as the grunting and squealing monster tonight. Vocalzone to the rescue, one hopes. It’s actually scary, which is no mean feat for a stage play. The design and the lighting were spare and epic at the same time, with a stunning ceiling light made of hundreds of tiny individual bulbs that could undulate or burst into a retina-searing dazzle, and a revolving circular stage that occasionally gave birth to bits of scenery, and also coped with rain, snow and a roaring fire from below, not to mention a strip of what looked like actual grass that seemed to grow from nowhere. The design and the music – by Underworld – combined to create a fabulously Gothic setting, against which a fine cast could do their best with a script that at times was over-ripe, but on the whole managed to balance the philosophical and the portentous with bawdy and silly humour. You might find, say, the broad Scottish accents of the graverobbing crofter and his son a bit Fraser-from-Dad’s-Army, but it’s a period piece, and you have to take that onboard. There is no trendy modernisation here. It’s all industrial machinery and gaslight and rabbit stew cooked over a hearth. Naomie Harris off of the telly and the films, had a thankless part as Frankenstein’s intended, Elizabeth, until the grisly denouement, but Karl Johnson was fantastic as the old blind man who “sees” past the creature’s ugliness and identifies his soul. I wonder if Cumberbatch and Lee Miller will share the theatre awards next year? They sort of should. Many critics said that Lee Miller’s monster was better than Cumberbatch’s. But they saw both. I tried to read Shelley’s novel in my early twenties and gave up, defeated. Maybe I’ll give it another crack. They played a short making-of documentary before the play – risking letting light in upon magic, although the footage was from rehearsals and not the production itself – and Frankenstein was described by some academic or other as a creation myth for the age of science. This is a fascinating idea, and one that’s not fully explored in, say, the classic 1931 film of Frankenstein, which, as Boyle notes, took away the creature’s voice. His version gives it back. Oh, and despite a full house, the two seats in front of us were empty. RESULT! This is the terrifying if grandly appointed prospect that faces us if jaded, blasé, London-based fans of the podcast don’t hurry up and buy a ticket for Collings & Herrin Live at the Bloomsbury Theatre in London’s Bloomsbury, situated near where Ricky Gervais used to live. 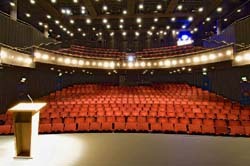 It’s such a nice space – I’ve played it many times under the militant-atheist wing of Robin Ince, and also as a support act, with Stuart Maconie and David Quantick, for Lloyd Cole (true! ), while Richard and his Oxbridge chums have performed As It Occurs To Me there, along with countless other spots – but it is even nicer if it’s full of merry people. A couple of hundred have already booked, but the more the merrier.